In a Friday interview with the folks at Morning Joe, Hillary Clinton said Donald Trump isn't a normal choice for Republican voters. To be specific, she said that this election isn't "a normal choice between a Republican and a Democrat," but she was of course referring primarily to her Republican opponent, not herself. And you know what? She is correct right. This election does not present a normal choice to voters, because Donald Trump is not a normal Republican, or a normal candidate in any sense. 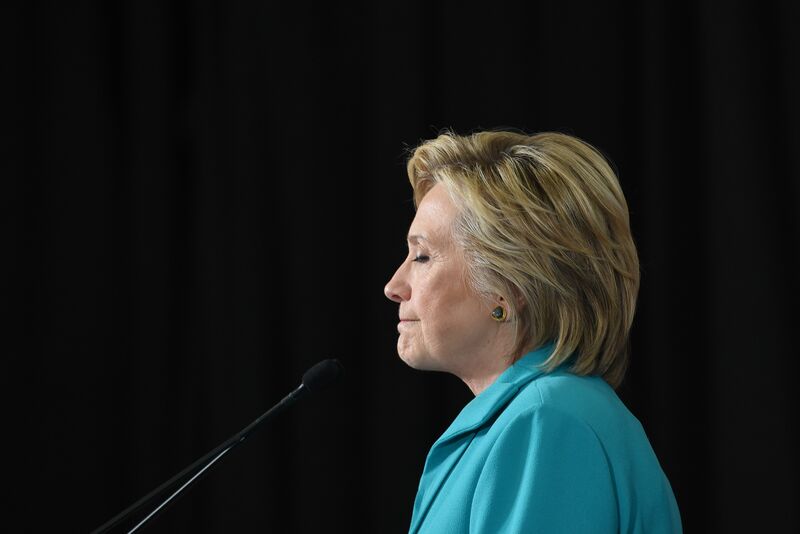 "I am reaching out to everyone, Republicans, Democrats, independents, everyone who is as troubled as I am by the bigotry and divisiveness of Donald Trump's campaign," Clinton said. "And I have said repeatedly, this is not a normal choice between a Republican and a Democrat." To be sure, this is the kind of comment is common in presidential elections. Every four years, both candidates will talk about how this is the most important election of voters' lives, and partisans on each side will depict the other party's candidate as a uniquely evil historical figure. Against that background, it's understandable to view a claim like the one Clinton made with skepticism. But in this case, in this election, she is completely right. For instance, Trump has explicitly endorsed violence — as in, physical violence — against his detractors. At a rally in Iowa, he told his supporters to "knock the crap" out of hecklers, adding that he'd pay the legal fees of anybody who did. This is not normal. It is not something that Mitt Romney, John McCain, George W. Bush, George H.W. Bush, Ronald Reagan, Barry Goldwater or any other mainstream presidential candidate of the last 50 years has done.